Rock and Roll Juice is a rather innocent collection, silently setting itself firmly in the midst of contemporary Australian twang. While looking at life at ground level, Ciggie Witch revel in up-front recollections and revelations about not fitting in, wasting time, making hard decisions and not being satisfied with the results. I guess one thing about dolewave currently is that it is relatively easy to identify with. There seems to be a certain subset of Australian musicians experiencing extreme levels of ennui that they find sparks of inspiration in the littlest achievements and happenings. Being on the dole, living through doldrums and earning no dollars are similar thematic elements for all bands that get lumped in the dolewave category. Life can be incredibly mundane, and talking about mundane things can be incredibly interesting. The Ocean Party released their latest album, Split, last year to a positive reception. It is a relatively peaceful album – dissecting how life in the 20-teens has been so far. Juggling work life, social commitments and creative output can put a certain amount of stress on the minds of young adults, Split spoke honestly about such struggle, striking a chord with many who were in the same boat. One of the singles from Split was the title track, penned by Ocean Party drummer, Zac Denton. The song was a literal recounting of how it was difficult adjusting to working life while still relatively young. 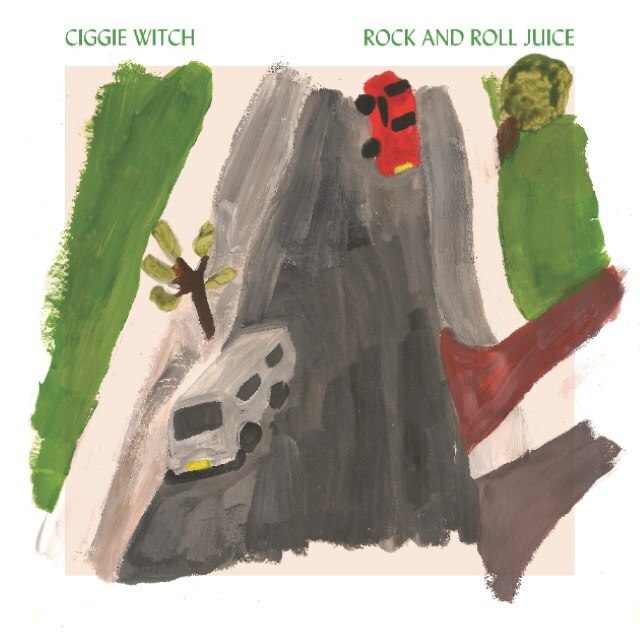 Denton has stepped out on his own and has released thematically linked record with his solo brand, Ciggie Witch. Along with brother Lachlan Denton and Mitch Clemens, he has penned an album of largely pessimistic and world weary songs. Rock and Roll Juice is a rather innocent collection, silently setting itself firmly in the midst of contemporary Australian twang. While looking at life at ground level, Ciggie Witch revel in up-front recollections and revelations about not fitting in, wasting time, making hard decisions and not being satisfied with the results. Moving from Wagga Wagga, the Denton brothers obviously dealt with aspects of isolation and then overwhelming obscurity of bigger city living. Other subjects include leaving school, learning a trade, working for ignorant employers and sleeping in and hating yourself. This is fine record, one that won’t make waves but that’s probably ok for now, there is still plenty of room for Ciggie Witch in Australia. Listen to this record when you are having a particularly unproductive day, walk around your neighbourhood and pretend you are starring in a sepia tinged film about nothing – you’ll have all the appropriate atmospherics with Ciggie Witch’s Rock and Roll Juice.